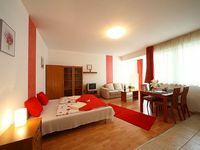 Set in the former Jewish Quarter, Paradise Apartments are within walking distance from the pedestrian shopping street Váci utca, the St. Stephen Basilica and the heart of the city, Deák tér. From here you can easily discover Budapest on foot, including the Andrássy Avenue, Opera, the restaurants of Liszt Ferenc square or the Great Synagogue. 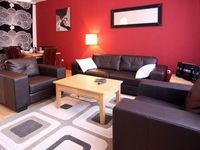 Broadway Luxury Suite offers stylish and modern accommodation in its centrally located apartments. 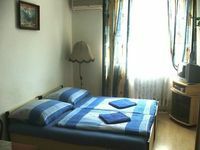 One of them are situated on the elegant and renowned Andrássy Avenue, while the other is set in the very heart of the city, close to pedestrian streets. 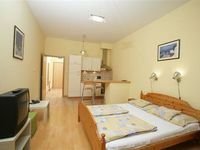 Both locations offer a perfect starting point to discover the city on foot as you can reach the main tourist sights, the banks of Danube and Váci utca in a ten-minute walk. 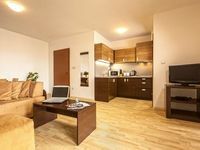 The modern, air-conditioned 1-3 room apartments are all situated in a new building, only 2 minutes far from Deák square (the mian metro intersection). 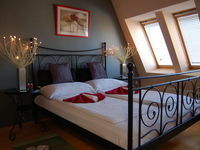 Wireless Internet access is available in all rooms free of charge. 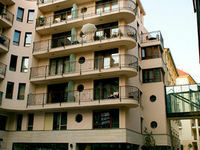 Most sights, good restaurants and clubs are only walking distance from the apartments. 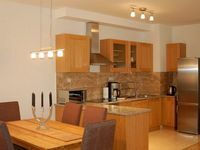 The Karma Boutique Apartments are centrally located on Liszt Ferenc Square, the main centre for restaurants and cafes of the Hungarian capital. The car-free square is situated right on Andrassy Avenue, the prime shopping street in downtown and home of many cultural sites that have become part of the world heritage. 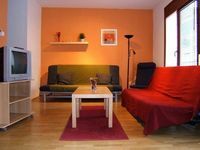 Situated just a 5-minute walk away from the underground station and 20 minutes from the city centre, the Nova Apartments are a great base for exploring the Hungarian capital. 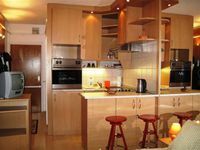 The private, self-serviced apartments are housed in a brand new building and they offer modern, stylish interior design. In the immediate vicinity there are several entertainment possibilites including restaurants, pubs and cafes.